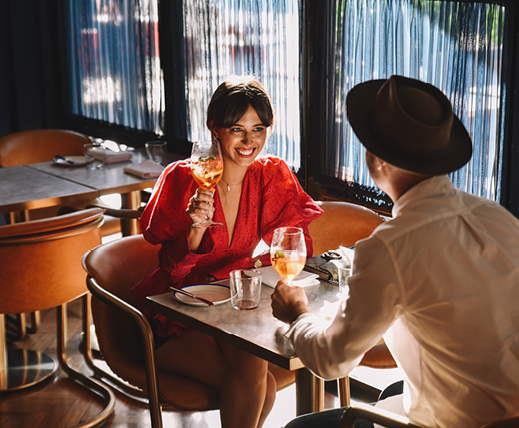 Their special tasting menu offer will ensure that Mum feels spoilt, for $77pp you can expect the freshest ingredients that are sourced from local organic farmers, as well as specially foraged items that are found daily. If she’s one to love a spruce up while being treated high quality products then a Gift Voucher from DAS might just do the trick. Have her spend some time on herself while being pampered and styled in the latest hair trends. From anything to a bold, modern cut & colour, the Wizards at DAS have her covered! 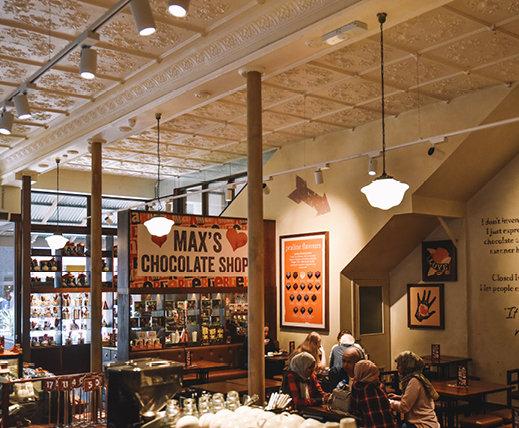 Nothing says indulgence quite like chocolate does, whether you’re making a chocolate pit stop at their cafe or buying a gift-to-go from the Chocolate Giftorium be sure to put Max Brenner on your list of ways to spoil Mum! The Worldwide phenomenon is sure to entice her sweet tooth, look out for the Bad Boy Brownie Chocolate Pizza – it’s the perfect menu item to share with the whole family. The latest collection features the latest on-trend colours for winter, mixed with the classic gold, silver & matte black finishes that are MIMCO’s signature. Not into the Glitz & Glam but still loves to feel luxurious? Morrison is the understated, casual & cool girl label that Mum will love. With timeless shapes and neutral colour palettes have her feeling ultra modern with the Ebony Collection that has just hit the Rundle Street East store! Modern simplicity and superior tailoring, if this sounds like everything your Mum needs to feel spoilt then head to SABA for some new threads to treat her with or get inspired by their Instagram. While it may be too late to organise a custom jewellery piece (Keep in mind for a future gift idea), the current collection of pre-made designs are however available. View the collection, Check out their Instagram or head in store for more.